With an all-electric range of 292 miles (WLTP), artificial intelligence technology and advanced infotainment, the I-PACE is the ultimate expression of a modern Jaguar. 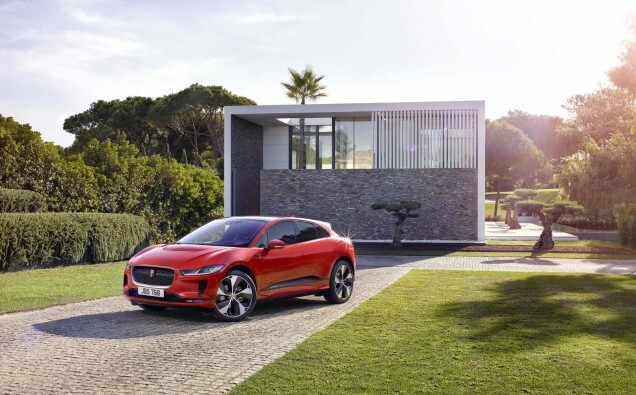 The Jaguar I-PACE has won its third major UK tech award this year, having been named ‘Best Car’ by Stuff Magazine; the best-selling gadget magazine. The award follows on the heels of I-PACE being named ‘Best Car’ by T3 and ‘Best Car’ by Pocket-lint, marking a clean sweep among major tech publications. I-PACE is the most high-tech Jaguar ever produced, featuring a fully-electric powertrain fitted with two electric motors. It is also Jaguar’s first vehicle to include the Touch Pro Duo infotainment system, capable of over-the-air software updates, and uses artificial intelligence to adapt to a driver’s personal preferences, ensuring driving and infotainment settings are matched to each individual using the car. With four-wheel-drive, 400PS and 696Nm of torque, I-PACE delivers sports car performance, accelerating from 0-60mph in just 4.5 seconds. Despite its exhilarating speed, I-PACE is capable of 292 miles (WLTP) of real-world all-electric range, thanks to a state-of-the-art lithium-ion battery complemented by a suite of range-optimising technologies, including an advanced battery pre-conditioning system. I-PACE’s innovations and cutting-edge engineering have secured well over 20 major awards wins since its introduction, and not just in tech publications. It was voted as German Car of the Year and Scottish Car of the Year by two panels of motoring experts, the Sunday Times named it ‘Car of the Year’ and Top Gear Magazine named it ‘Best Electric Vehicle’. The Jaguar I-PACE is available to order now, priced from £59,995 (including government incentives) at www.jaguar.co.uk.